In our Engineering Department we work with the most advanced technology in the most traditional way, to improve our projects everyday, to achieve the best results and to bring and share them closer with our clients. 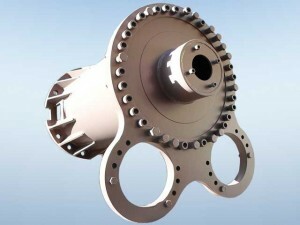 We work with our own designs and we have a registry of more than 500 world patents. About our qualifications we can highlight its perfect operation over time. In our workshop we build each crane as if it were the first; in our repair service we take care of every detail to ensure that our cranes stay the same as the first day. The team work with perseverance and effort to get our clients tailor-made solutions. The satisfaction of our customers is our motivation to continue creating and innovating. 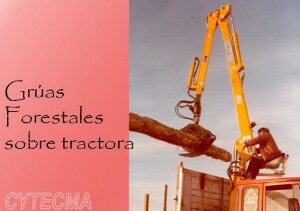 If you are looking for quality, reliability and safety, CYTECMA is committed. 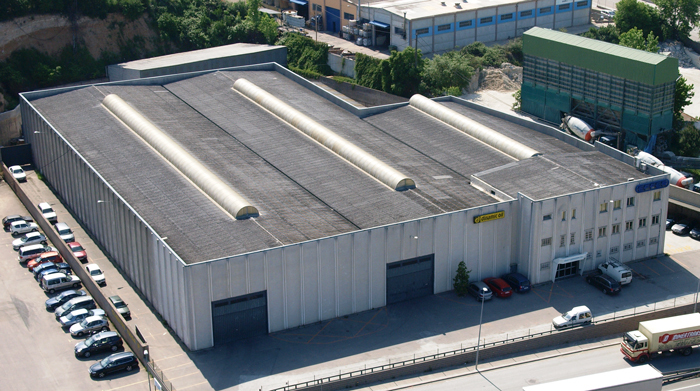 Construcciones y Técnicas de Maquinaria, S.A. (CYTECMA) was founded in Barcelona by Cándido-José Martínez Macarrón, from Burgos, in June 1966. His previous experience, always in the world of cranes, led him to create his own company. Today he continues leading the company as a manager and engineer, his greatest vocation. Our company, with extensive experience in the secto, is one of the most experienced in the manufacture of hydraulic cranes in the world. This antiquity certifies quality and good work. 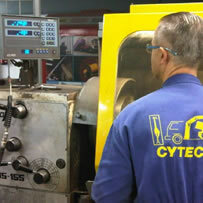 In addition, CYTECMA is a 100% national company. It has manufactured machines with lifting power of up to 900 tons and reaches greater than 60 meters. Since the beginning of the activity, it has exported to countries of the five continents and we are still expanding. During ourindustrial trajectory we have made very specific machines improving and innovating in our sector, betting on truck cranes, marine cranes and special projects. 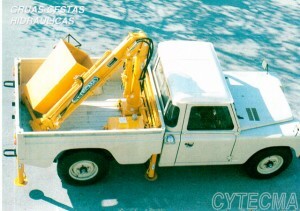 CYTECMA has facilities, machinery and human resources that allow to carry out manufacture of cranes from its beginning to its end. The start of manufacturing of our cranes begins in our Engineering Department, where each model is studied and designed. Then, each component of the crane is projected and manufactured to finally assemble and create the crane. 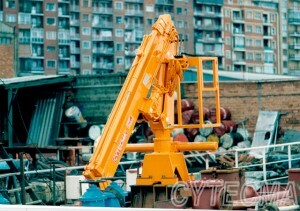 The manufacture of each type of crane is different according to its purpose and destination. Our manufacturing process begins with the use of high strength and flexibility steels, thanks to them our products enjoy long duration and excellent behavior, above all due to the speed of movement. Under the supervision of our Technical Department and, always in our facilities, we manufacture crowns, zippers, rods, shirts, arms, extensions and all the necessary parts for the final assembly of the cranes. Our special cranes can be both static and truck-mounted. The static cranes have an electro-hydraulic equipment and can be installed on a base or pole, in loading and unloading docks, military bases, logging operations, scrap yards, etc. 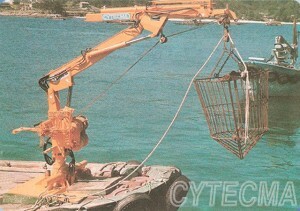 The CYTECMA-Marines are a generation of cranes studied, designed and built specially for marine work and resistant to highly corrosive enviornments. All its structure is built in steel of class S690, high strength steel particularly adapted to resist corrosive and oxidant enviornments. The parts subjected to friction as axes, crowns and zippers, are built with special materials; all the friction surfaces have a suitable treatment to achieve a greater resistance to wear. The structure and all the components of marine crane go through a washing and degreasing process, in order to eliminate any traces of dust and/or grase that would prevent the proper application of the special paint. 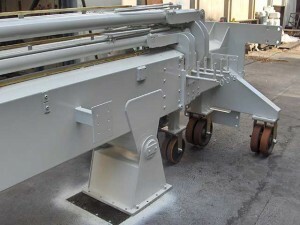 All the parts of the marine crane are treated individually with the appropriate paint. All components are polished and shot-peeled, two layers of Ziucante anticorrosive, two phases of epossidic intermediate layer, and two layers of polyurethane-based final enamel are applied. All the pistons of the extension cylinders, as well as the nuts, are manufactured in bronze to facilitate their disassembly and to avoid any possibility of seizure. The screws and rigid tubed are stainless steel. The cylinders are double-acting and are treated to hard chrome. 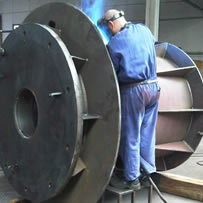 We create special projects according to the requirements of our customers and always in our facilities. Our Technical Department studies your needs to create a crane that adapts exactly to your work. 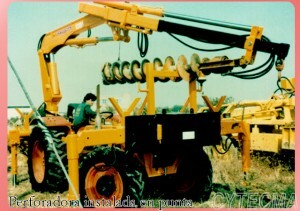 We emphasize the manufacture of robotic arms for intelligent warehouses, automated logistics centers, special projects for the military industry, autonomous cranes, installation of cranes on train locomotives to carry out maintenance work, with specific movements and limited for use in tunnels, cranes with tonnage for logging operations, etc. CYTECMA, SA has as main objective to provide its main client with products and services offering trust and reliability of response, that fully satisfies its requirements and expectations. The objective of this Quality Policy is the consolidation of this reality, continuously improving performance and reinforcing the confidence of our client. Our Quality Management System according to the UNE-EN-ISO 9001: 2015 standard aims to promote the participation of all its employees, making them aware of the importance of their activities and how they contribute to the achievement of quality objectives. Consistent with the responsibility assumed, provides the necessary resources for compliance with this policy. In accordance with this policy, we establish quality objectives at all levels, monitoring the degree of compliance, so that we can measure our continuous improvement. The Management of CYTECMA, SA periodically reviews the quality management system, to ensure its suitability, adequacy and continuous efficiency. In this review the opportunities for system improvement and process control are evaluated, and the needs for changes in the quality system are detected, including the Quality Policy and objectives.